Microscopists have, over the years developed many types of accesories for holding a subject. 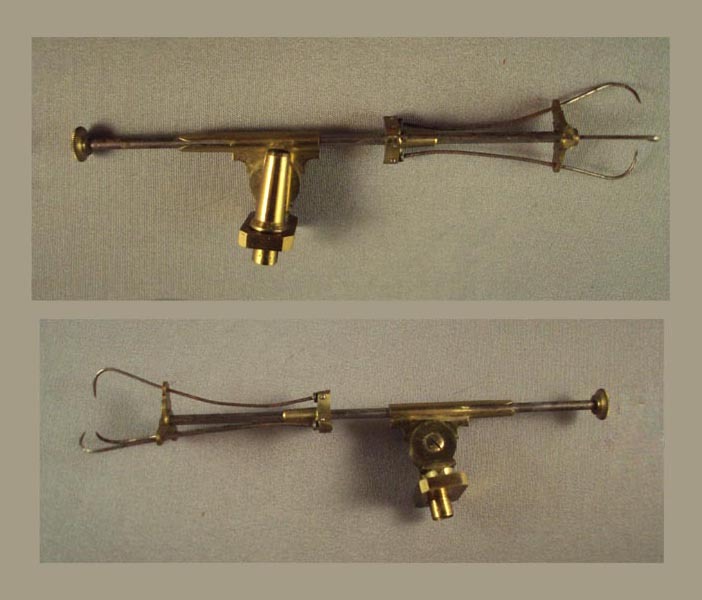 This 3-Pronged Forceps or Tenaculum was such a device. It slides onto the rod at the back of the stage just like several other accessories. The tightness of the tines is regulated by moving the distal brass piece closer or further from the ends of the tines. The specimen can be tilted up or down, rotated, and pushed to-and-fro. This would hold a larger specimen than the stage forceps.